- Plug in the egpu in top left port, it got recognized as "Microsoft something VGA-Adapter"
When plugging in something on the ports on core or laptop, egpu "resets" (kind of) itself resulting in no picture anywhere. Probably Bluescreen, but no video output. Unplugging the core while windows running results also in Bluescreen. Since I needed a MacBook with halfways strong cpu and gpu, I actually only had to go for radeon 555x and i7, but because gaming is also one of my interests, I decided to get the vega 20 upgrade for games on the go and then get rid of my other "gaming" devices. In the end I got it fully speced out, because it was cheaper getting it on black Friday with a huge discount I got at the apple store, than getting it online without in-store discount and pay even a little bit more for my intended specs. Compared to my previous laptop, with only 2x pcie lanes, this one works much much better with egpu. - It hits around 50fps in 4k on ultra settings in Forza Horizon 4 (Around 5fps more I guess?). In Forza, there was no more sudden stuttering, low bandwith warning pop-ups or abruptly stopping the car because the map kind of does not load fast enough? - In Battlefield V (dx12) playing multiplayer isn't possible in 4k maxed out settings, since it drops quite below 30fps, but 1440p works just fine. BFV Nordlys (Story) in 4k has around 38 - 41fps, everything maxed out. Exception: When heavy fighting it drops to 28fps (same problem like online but not that bad I guess), in the snowstorm chapter even only to 20fps. - Csgo 4k maxed out has around 168-183fps at T-start on "Nuke", but can go up to 208fps in certain areas. - Overwatch 4k maxed out has mostly somewhere between 57 - 66fps but heavy action let it sometimes drop to a minimum of 51fps in the worst case. Hell of a set up. Any other gaming FPS you could share? How about pubg? Sure, I can do that. I'll add some other game fps to my post when I have time in the next days. I would really like to see some beanchmarks comparing the Vega20 and GTX1080. The Unigine Benchmarks and some games. Most interesting would be to see Vega20 vs GTX1080 internal display. For high framerates I would think the Vega20 performs quite well. Io ports issue on core v1 is quite known they addressed it with separate io controller on v2 with new dual TB3 controller design is to stabilize io Data traffic during high eGPU usage. The best io ports usage on Core v1 would be directly from host laptop ports. If you have time it would be great if you upload 3Dmark scores like firestrike or timespy comparing between MacBook Pro Vega 20 gaming performance and its 1080 egpu performance. this is the Razer Core V1 ?? 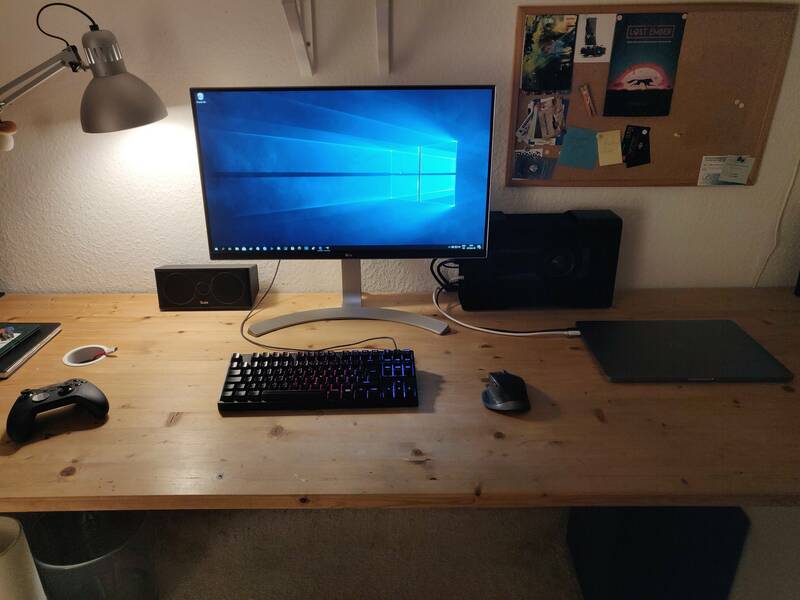 I have a very similar setup except I have the I7 2,6 ghz and not the i9 on Macbook Pro 2018 Vega 20 and my enclosure is the Gaming Box and not the Razer Core. I get 2450 points on Unigine Valley in 1080p extreme quality with a light overclocking. Unigine Valley Preset ExtremeHD is perfect. It's important to use a fixed preset in order compare. You got 2450 points for exactly which graphic card? both on the same OS, of course.